Perfect for all the students and teachers at�Butler�Elem. 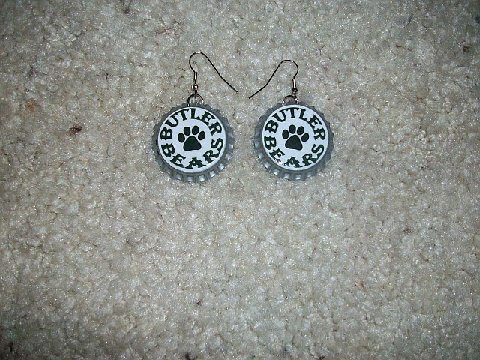 for spirit day!� These cute bottle cap earrings will make your outfit complete. The bottle cap matches the school theme!